It’s been a busy week for the Dell EMC Ready Solutions team here at Dell Technologies World! As you’ve seen, there’s lots of news to discuss, from the update to our VDI Complete program to the work we’re doing to advance artificial intelligence (AI) and machine learning. In fact, it’s the latter topic that I want to focus on today. In my discussions with customers this week, I hear a common theme: our enterprise customers know they want to take advantage of these new technologies, but they don’t know where to start. And they’re not alone. 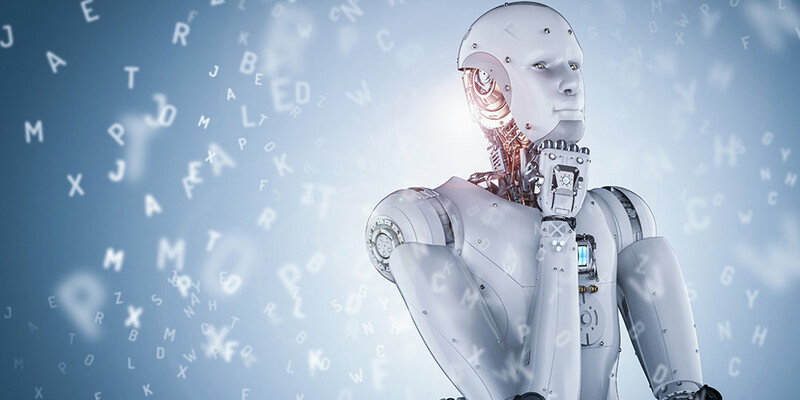 In a recent survey conducted by IT Pro Today and sponsored by Dell EMC, almost one-third of respondents said that their organization was either testing or considering a machine learning solution, which means that the vast majority have not yet figured out where and how to start. With so many vendors claiming to have the ‘latest and greatest’ machine learning solutions, it becomes difficult for customers to know which solutions they need, never mind which ones they can practically implement. Beyond that, they’re looking for a solution that won’t require substantial time and resources to deploy and manage or require them to move away from infrastructure in which they’ve already heavily invested. How do they choose? How do they get started without wasting time, money, and other resources while moving toward their goals? At its core, machine learning-based AI solutions are about one thing: insights from data. For many enterprises, this fact makes them bristle, as more often than not they’ve already heavily invested in trusted data analytics solutions and but don’t know how to use new analytics techniques such as machine learning. In fact, our survey revealed that 46 percent of respondents are using big data or data analytics solutions, and more than half of those believe those programs would benefit from machine learning. An additional third indicated their belief that machine learning could possibly enhance their use of data analytics. Thankfully, there’s good news – implementing a successful AI strategy is about taking advantage of more of the data coming into an organization, and using that data to increase understanding about how things are working, what is likely to happen next, and what can be done to achieve desired future outcomes. Increasingly, enterprises are starting to make this realization, with a clear majority of our survey respondents indicating they believed their existing data analytics programs would benefit from adding machine learning capabilities, with an additional third of respondents telling us they believe machine learning could possibly enhance their use of data analytics. A recent Dell Technologies Award winner, AeroFarms, is just such an enterprise, looking to work with the Dell EMC team to help them implement the right artificial intelligence solution that will deal with the constant barrage of data streaming into their infrastructure, enabling them to focus on what they do best: addressing the global food crisis by growing flavorful, healthy, leafy greens in a highly sustainable and socially responsible way. Our team is partnering closely with AeroFarms to provide them with a solution and strategy that not only addresses their current needs, but will also scale as they need it to, because let’s face it – the amount of data flowing into organizations will only increase, requiring a solution that will scale with that growth. While technology itself is great, like every major innovation we’ve encountered in the last two decades, a successful implementation of new technology requires another, critical element: partnering with people who have a solid understanding of both the technology and the marketplace. As demonstrated in yesterday’s announcement, Dell EMC is uniquely positioned to provide customers with this expertise, based not only on our own innovation, but also on our ability to partner with other industry leaders including Intel and NVIDIA to bring the very best expertise to our customers while advancing the AI and machine learning community as a whole. In short, we’re committed to leveraging enterprise expertise as well as mathematical and intellectual expertise to design and deliver the right solution for our customers. The more I talk to our amazing customers and partners, the clearer it is to me that we’ve only scratched the surface in terms of how enterprises can leverage artificial intelligence and machine learning to derive greater value from their data to increase innovation and efficiency, and thus advance their industry and gain a competitive advantage. I look forward to continuing my discussions with customers and partners around the world. To learn more about the IT Pro Today survey, please visit https://insidebigdata.com/white-paper/data-analytics-algorithms-machine-learning-online-survey/. To learn more about our work with AeroFarms, visit https://www.delltechnologies.com/en-us/customer-stories/aerofarms.htm.